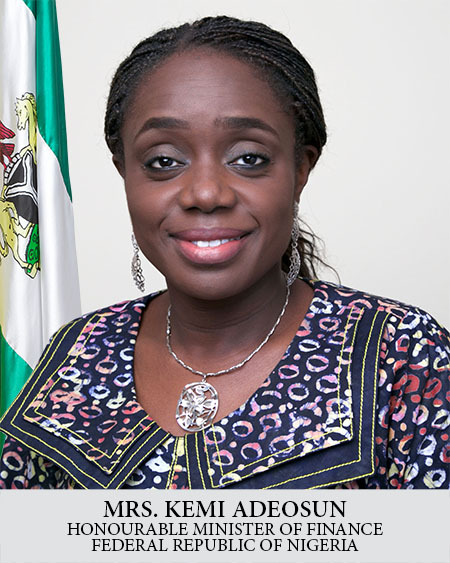 Minister of Finance, Kemi Adeosun, told viewers of Channels TV that if Nigeria is to achieve sustainable growth it needs a planned approach to financial discipline, targeted investment and economic diversification. Fiscal Discipline is a destination; we will continue to improve discipline on an ongoing basis. FG have commenced similar reforms at the federal level, with success; Ghost workers which we prefer to call Payroll clean-up has been very successful and the continuous audit unit at the FG level will continue to monitor and improve our efforts there. We have saved N 6.6bn on a monthly basis. This is all about good housekeeping. The Efficiency units have already had success with travel, food, sitting allowance and they will now look at adverts. We are all aware of the efforts on plugging leakages and recoveries. FSP reforms will take 18 months to fully implement, but there are key milestones within the period to measure compliance. She said: “The objective is to ensure that States are set on a path towards fiscal sustainability with a clear link between Federal Government funding and necessary reform. Monthly disbursements to each State will be conditional on compliance with pre-agreed FSP milestones. FSP reforms will take 18 months to fully implement, but there are key milestones within the period to measure compliance. The States have agreed and endorsed this approach. It is also a path to supporting and increasing productivity and diversification of States economies, such as in agriculture increasing food security and opportunities for exports.” FSP is a REFORM about transparency, accountability and sustainability. State governments have agreed to these 22 points. It is their (the States) plan, after consultation and discussions between the states and the Ministry of Finance. Facility size is not N 90bn; rather N 50bn per month first 3 months, and N 40bn per month for following 9 months. Monthly disbursements to each State will be conditional on compliance with pre-agreed FSP milestones. 35 States have applied and are in the process of submitting the required documentation which are being reviewed – There have been erroneous claims in some papers that “only seven or five states have met FG’s conditions”, this is factually wrong. FSP reforms will take 18 months to fully implement. Diversification of the Economy will increase when each state starts to increase their Internally Generated Revenue (IGR), this will create local jobs and expand wealth within the states. Kebbi State, for example, have taken the initiative to increase their production of Rice, they have gone as far as coining their IGR as “I Grow Rice”. Basically, Kebbi state is undertaking large scale rice growing with the aim of producing one million out of the six million tonnes of rice Nigeria consumes annually. Ultimately, when we collectively expand IGR, we generate more jobs and create more wealth. Other states have different resources that can be developed to generate IGR within the state. The Minister said she was optimistic Nigeria was up for the challenge, and the higher revenue collection and the greater sharing of non-oil earnings shows the reforms are starting to work. Last month’s FAAC distribution was made up largely of revenue collections and not only oil revenue. N 305.12bn was distributed in May; though it was only N 23.62bn higher in May than in April, the pleasing thing is that was funded by locally generated revenue. On the N 350bn disbursement planned for this quarter, The Minister said that “N109bn out of the N350bn has already been disbursed. The funds are ready, however, there are procedural delays, due to the required public procurement processes. The selection process however, allows for many new capable companies to participate in the process and getting involved in the FG projects. On China, the Minister said that the CBN will be best placed to provide details of what was agreed but from a technical point of view, the principle is that both Nigeria and China can directly exchange each other’s currencies without changing into US Dollars first. Verified winners will be paid, but we must reform YouWIN to meet Nigeria’s current conditions. The Minister also confirmed that YouWIN disbursements have commenced but there is a serious need to reform the YouWIN program to suit Nigeria of today. Currently, FG gives winners N 10m as a grant, that is a lot of money that will not come back to FG, so we need to make sure that these funds create sustainable enterprises that create jobs. We also need to look at whether the figure should be N 10m to one winner or N 1m each to 10 winners. On the N 1.3bn YouWIN disbursements recently carried out, Mrs Adeosun confirmed that all FG commitments under the YouWIN programme will be fully met, but proper due diligence will be carried out on all winners, using tools like BVN, etc. prior to disbursements.